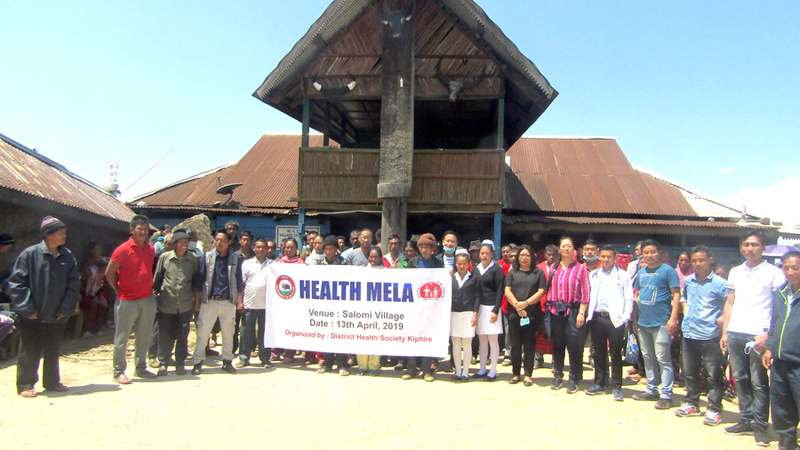 Medical team poses for a photograph with the villagers during health mela at Salomi village on April 13. 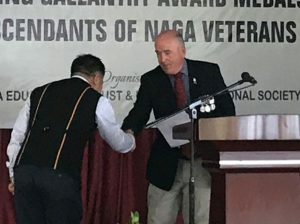 Dimapur, April 15 (EMN): The District Health Society Kiphire under the aegis of directorate of Health & Family Welfare (NHM) Nagaland conducted health mela at Salomi village on April 13. The medical team was headed by Dy. CMO, SMO, DTO, and MOs of various health units, according to a press release issued by CMO office, Kiphire district. Dy. CMO Dr. Tinurenla Anichari welcomed the participants during the programme. A total of 324 OPD cases were registered during the health mela; 130 blood smears examined; and 10 sputum tests were collected (no positive cases were detected), informed the statement from CMO office. A total of 58 patients were registered for eye screening, out of which four cataract and 30 refractive error and seven cases with allergic conjunctives and one patient with VIT deficiency were detected. It added that a total of 85 dental extraction and root stump were conducted. Screening of diabetes, hypertension, ANC/ PNC, and other routine immunisation were carried out during the health camp. DMO and BEE also conducted IPC session on various RCH programmes through focus group discussion and one-to-one communication. Community mobilisation was disseminated thought churches, VHCs, Village Council, and ASHAs one week ahead of health mela, informed district media officer Atsali Thongtsar.